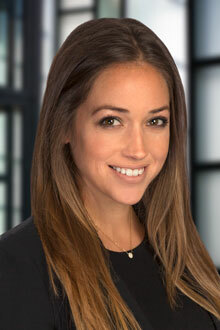 Tracy Trimble is an associate in the San Francisco office of Lewis Brisbois and a member of the General Liability Practice. She focuses her practice in all aspects of civil litigation including personal injury, premise liability, and products liability actions. Prior to joining Lewis Brisbois, Ms. Trimble worked as a law clerk to Judge Joseph Huber at the Santa Clara Superior Court. Thereafter, Ms. Trimble worked at a reputable plaintiff's firm in the Bay Area. Ms. Trimble obtained her undergraduate degree from the San Jose State University. She attended the University of San Francisco School of Law where she was a competing member on the SFTLA Civil Trial Team and served as a Director of the Moot Court Appellate Advocacy Program.